New General Hospital spoilers reveal that reveal Leslie Charleson, who portrays Quartermaine matriarch Dr. Monica Quartermaine, has been side-lined while she recuperates from a leg injury. And now GH breaking news indicates that screen legend Patty McCormack will be filling in for the long-running ABC soap actress while she heals. Fans of the ABC soap opera should expect to Patty make her on-screen debut as Monica in May. New Monica Coming To Port Charles Stat! Soap Digest shared the exclusive recast scoop just a few hours after the reveal that Leslie Charleson is struggling with a broken leg and must take a break from GH. The soap magazine shared that Leslie Charleson was walking her beloved family dog, delightfully named Riley Rose, when she tripped. 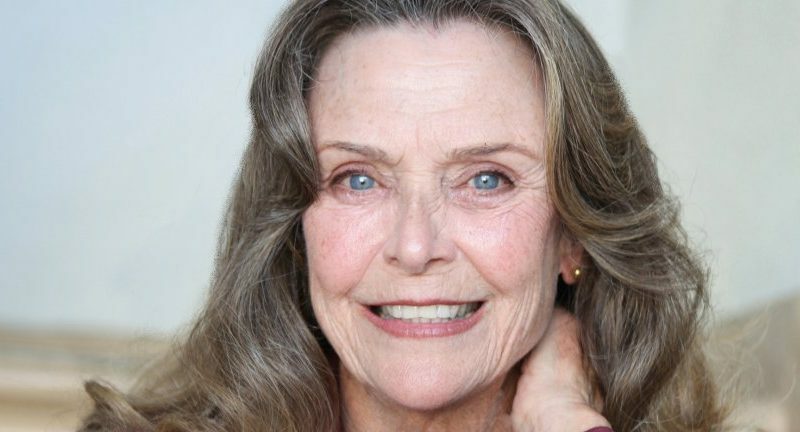 GH sources reveal Patty McCormack is a TV veteran. Some fans may even recognize her from her appearances on prime time TV series like Desperate Housewives (Teresa Pruitt, 2010 ‘I Guess This is Goodbye’), and Private Practice (Cynthia, 2009 ‘Homeward Bound’). But Patty McCormack is probably best known for her role in the movie The Bad Seed (1956). McCormack also is no stranger to the world of daytime drama as she portrayed Kim Sullivan on As The World Turns when she temporarily replaced Ms. Hays. General Hospital spoilers tease this is a crucial time for Monica Quartermaine in Port Charles. 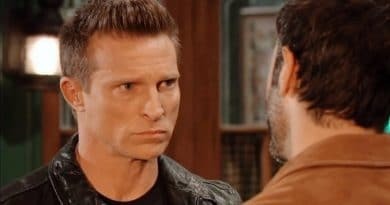 Not only is she dealing with Jason Morgan (Steve Burton) being back from the dead, but also his adult twin brother, Drew Cain (Billy Miller) being in their lives. Monica welcomed Drew with open arms thinking he was Jason and now has both the twins in her life. Monica is also caught in the middle of a fragile relationship between her grandson Michael Corinthos (Chad Duell) and his pregnant ex, Nelle Benson (Chloe Lanier). With Monica being all about family, how will she cope with Michael wanting nothing to do with the nasty, scheming vixen that is carrying the next generation of Quartermaines? If you’re a fan of classic chiller-thrillers, you should check out Patty as the terrifyingly homicidal little girl in The Bad Seed sometime. You can see a clip below of Patty as a young girl playing the scariest little kid ever to appear on the big screen. And now Patty has gone from bad seed to a good doctor as she steps into the role of Monica Quartermaine for this emergency recast. The Soap Dirt crew wishes Leslie Charleson a speedy recovery and Patty McCormack the best of luck stepping into her shoes to play Port Charles legacy character Monica Q! The Bad Seed, 1956, directed by Mervyn LeRoy. Patty McCormack and Henry Jones. Be sure to catch up on Soap Dirt’s juicy GH info including the new actress that may be a Webber sister recast, ex-Blackie (John Stamos) baby news, and what’s happening on GH the week of April 16-20. Make sure you don’t miss a thing – be sure to follow Soap Dirt on Twitter and like us on Facebook for all the latest news and spoilers! Check back soon for more General Hospital spoilers and news.